Chevy Silverado 1500 (07-2013) Hidden Bumper LED Light Bar Mount - Straight 20" Single Row LED Light Bars: Shown Mounted With 20" Pro Series Off Road Light Bar. Prepare your Chevy for an off-road nighttime adventure with this Hidden LED Light Bar Bumper Mount. 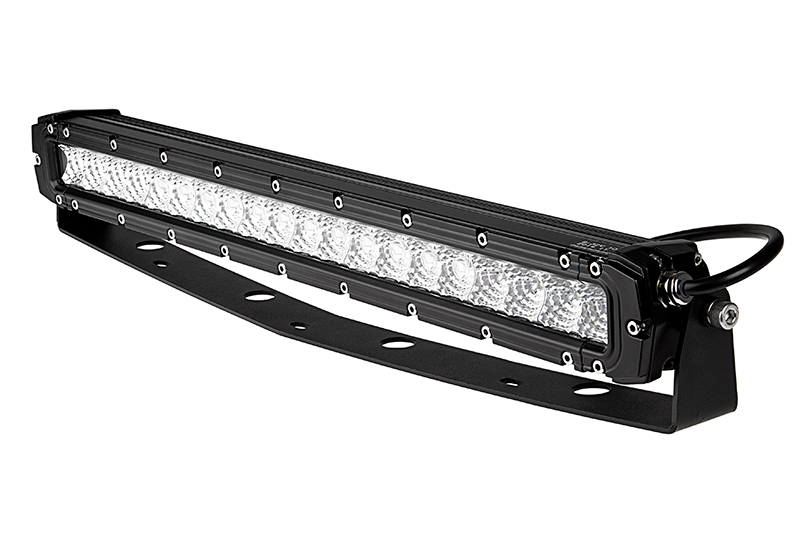 The sturdy LED light bar bracket securely holds a 20” straight single-row LED light bar inside the front bumper opening of your 2007-2013 Silverado 1500 pickup truck. The Chevy light bar mount is designed to hold your off-road LED light bar flush with your truck’s bumper—giving it the look of factory equipment. 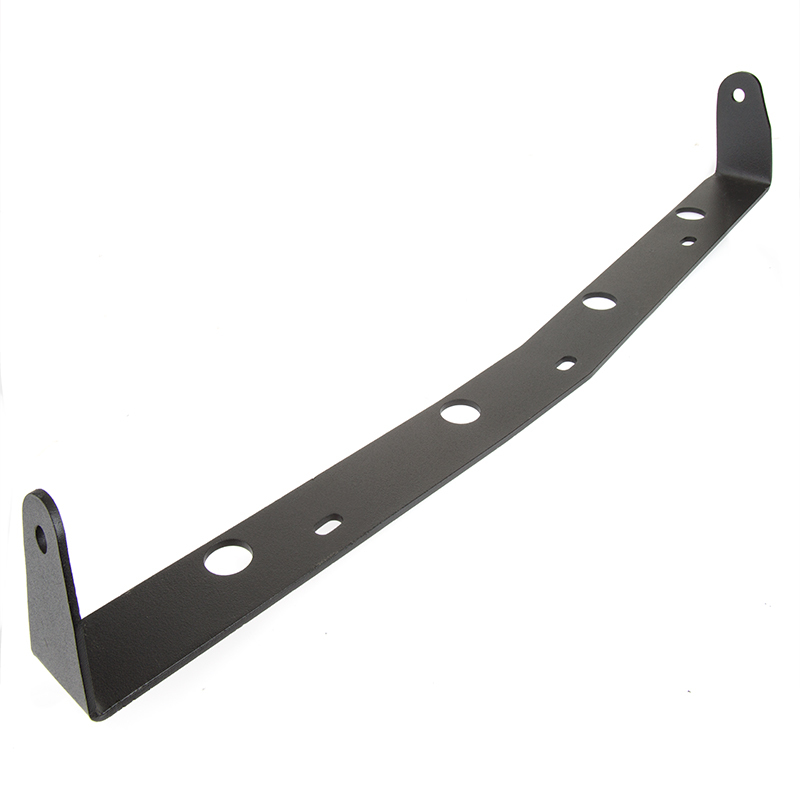 Black powder coated steel is durable and rust resistant. 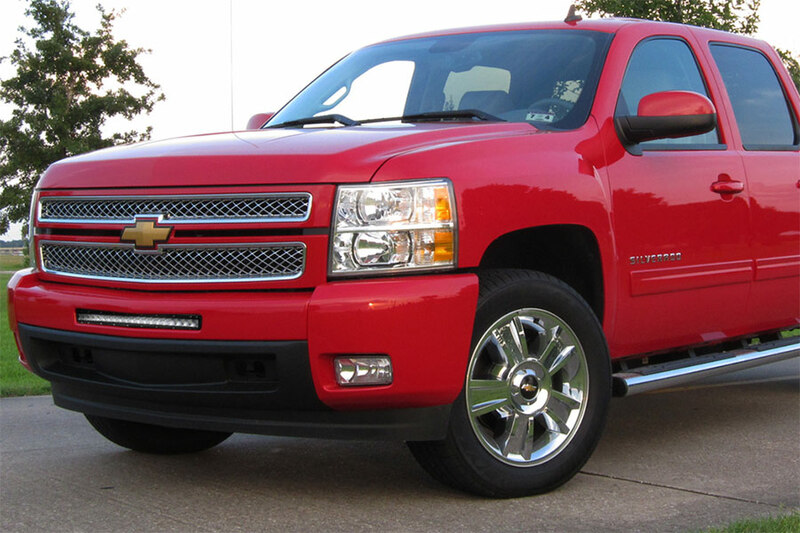 Easy no-drill installation with included hardware and factory hardware on your truck. This hidden bumper mount will not fit 2007 Classic models. Please read instructions before beginning installation. Check the kit hardware against the kit contents. Be sure you have all the needed parts and know where they go. Using a 10mm socket, remove the 3 bolts behind bumper opening. Remove push pins holding rubber air flap. Push flap down and save push pins for reinstallation. Place bracket through opening bumper. Reinstall the 3 factory bolts ( Do Not Tighten). 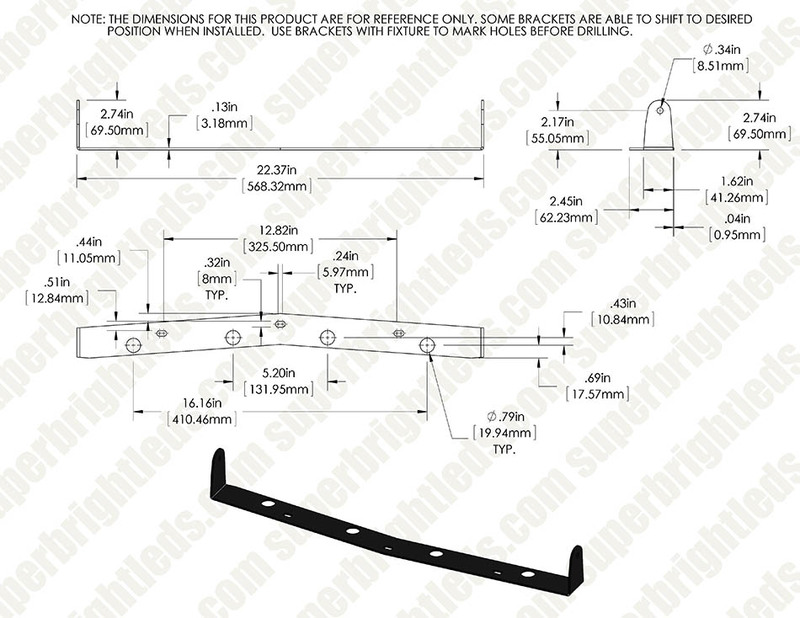 Install Light Bar in bracket through opening in bumper using supplied hardware that came with the Light Bar. Make sure light and bracket are centered in bumper and tighten the 3 bolts holding the bracket in. Replace rubber air flap and push pins. Set desired Light Bar angle and tighten bolts. Refer to the wiring harness instructions for electrical connections.